In six years' time, the White House will end the station's federal support. While the Trump administration intends to end funding for the International Space Station (ISS) after 2024, it’s not necessarily destined to be completely abandoned — or even removed from orbit. According to an internal NASA document acquired by The Washington Post, the ISS could transition from being used by the U.S. government to becoming a privately-operated real estate venture. If the U.S. moves on from the ISS it would leave the nation without a major foothold in space — though, President Trump has expressed a desire to ensure the U.S. is a leader in the space industry. As it stands, the ISS requires billions of dollars each year to remain operational. If the ISS was no longer a government concern, that money could be allocated elsewhere — perhaps, even, to other off-world ventures. Could that money be used to send astronauts to the Moon — or one day finance a mission to Mars? Of course, the U.S. is not the only country with interest in the ISS; other countries have plans for the station’s fate, too. Last year, Russia revealed plans to build a luxury hotel on the station — however, the Trump administration’s decision to cut funding in 2024 would make it impossible for the hotel to turn a profit sooner than that. Even so, if the station were to be turned over to private companies and maintained beyond 2024, Russia’s space hotel could still stand a chance. The same could be said for aerospace companies like Boeing and SpaceX, which have sent payloads to the ISS and used it for research purposes in the past. 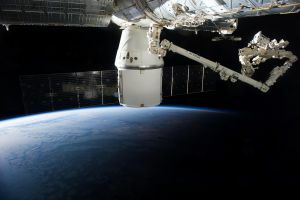 Both are planning manned missions to space between 2019 and 2024, and controlling the ISS could enable them to operate without additional restrictions and oversight. It should be noted again, however, that the document neglects to suggest which companies are in a position to take over the ISS, and what they could realistically do with it.